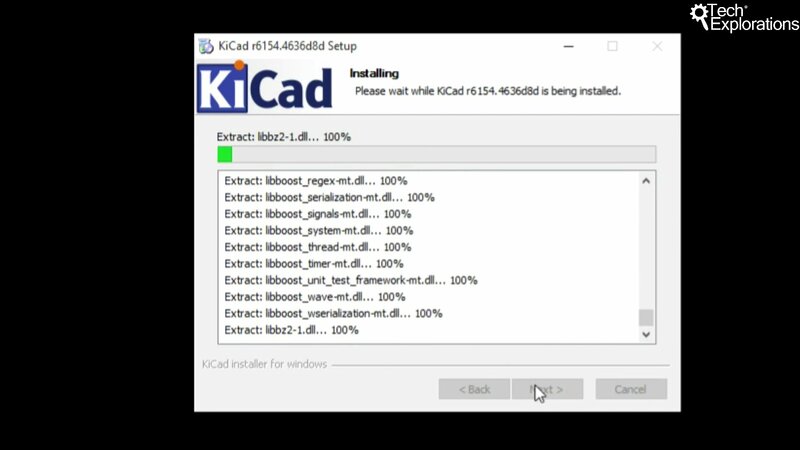 In this chapter, we’ll install KiCad on Windows. 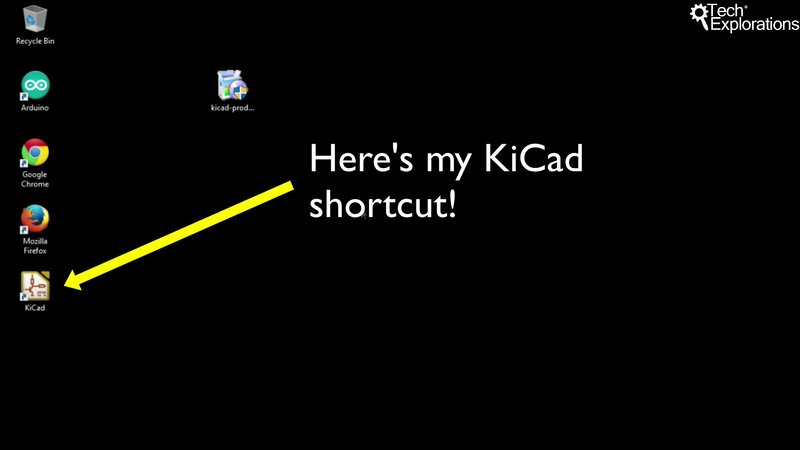 To do this, you will need to use your web browser and navigate to http://kicad-pcb.org/download/. 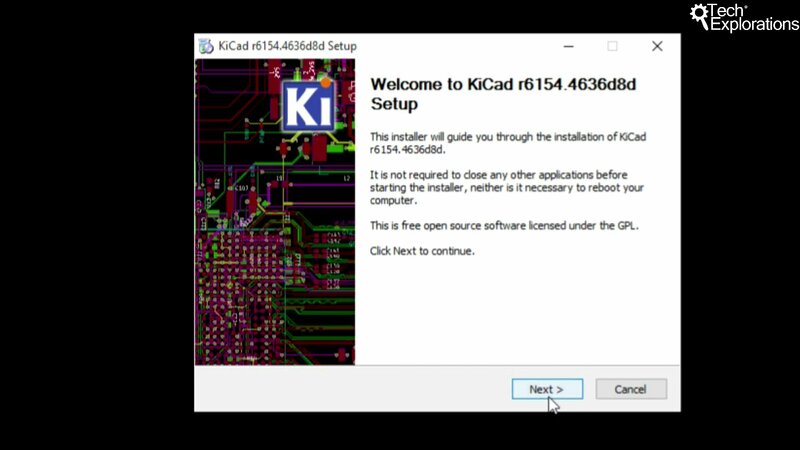 KiCad comes precompiled for a variety of operating systems, so all the major operating systems are supported. 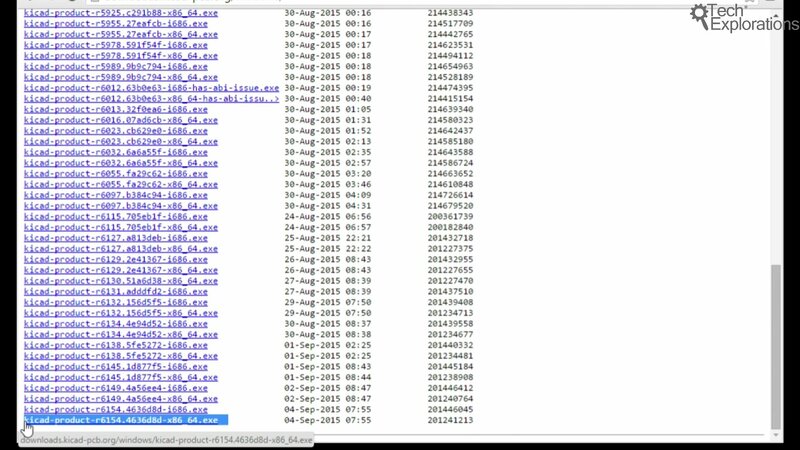 But if you prefer, you can even download the source code and compile it yourself. 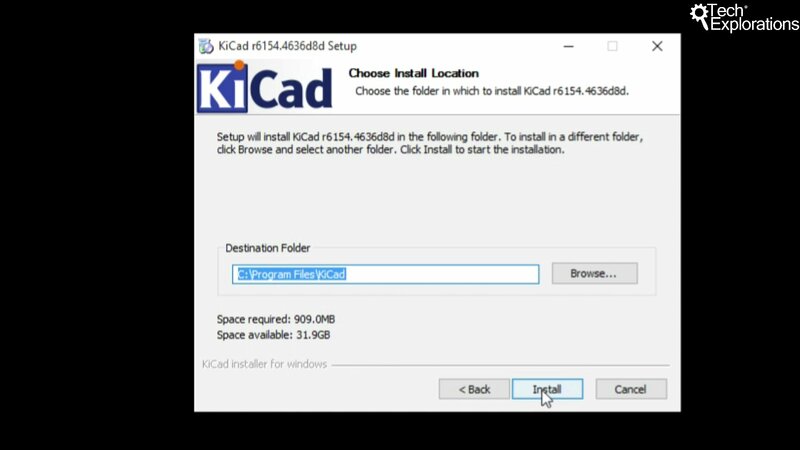 In this chapter, I’ll be showing you how to install KiCad on Windows. 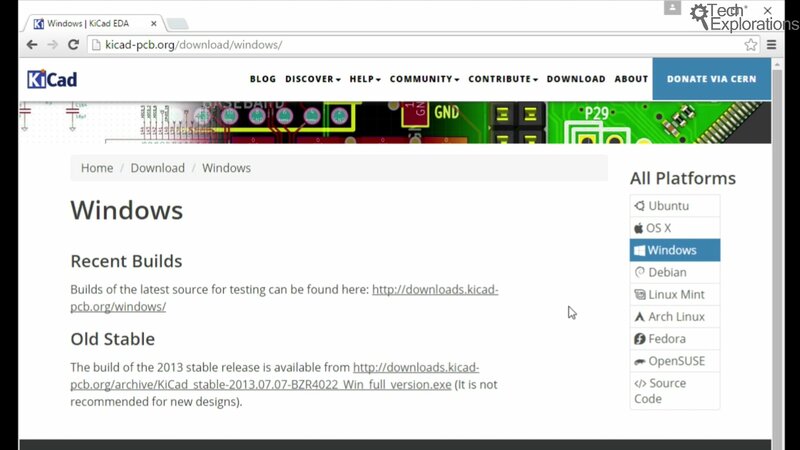 Navigate to the Windows branch by clicking on the Windows logo in the download page, at http://kicad-pcb.org/download/windows. You have the option to download the most recent build which is preferable for any new designs that you make. Let’s download the most recent build. The latest one is at the bottom of this list. 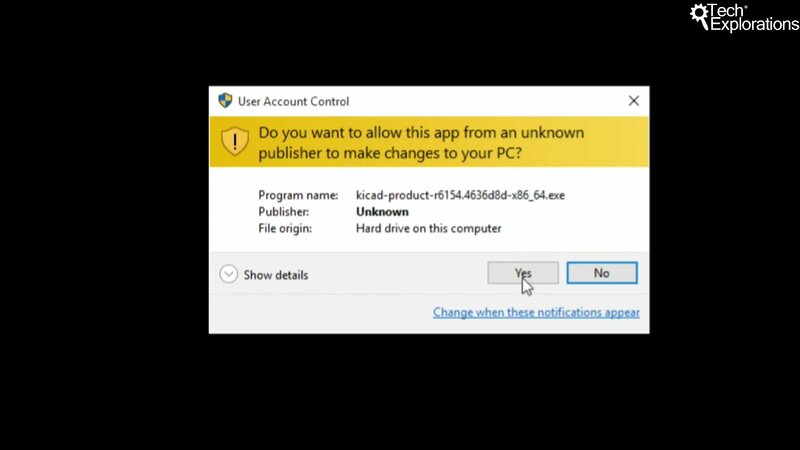 I am using a 64bit version of Windows 10, so I’m going to go for the very last option to download. Choose yours based on your version of Windows. A few minutes later the download is complete. 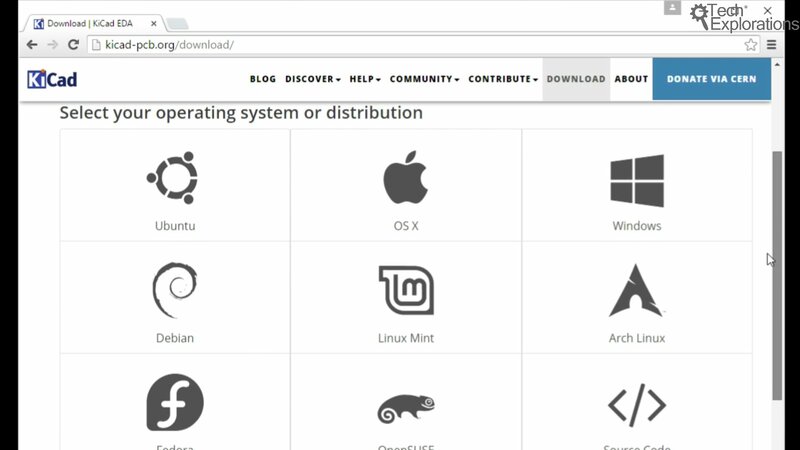 Find your installation file in your downloads folder. 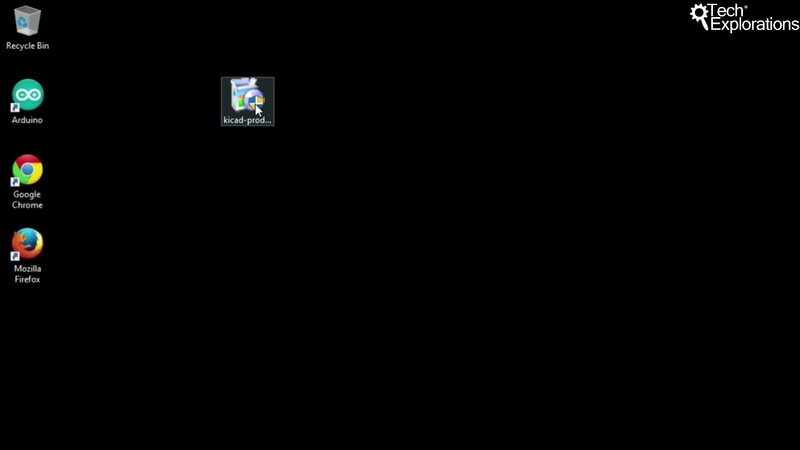 In this screenshot, you can see mine on the Desktop. Let’s start the installation process. Double click on the file, and accept the prompt. Click “Yes” to proceed. Also accept the setup Welcome dialog box. Click on Next to continue. Accept the Setup Welcome dialog box. In the component chooser, I recommend including all of the available components. Click on Next to continue. 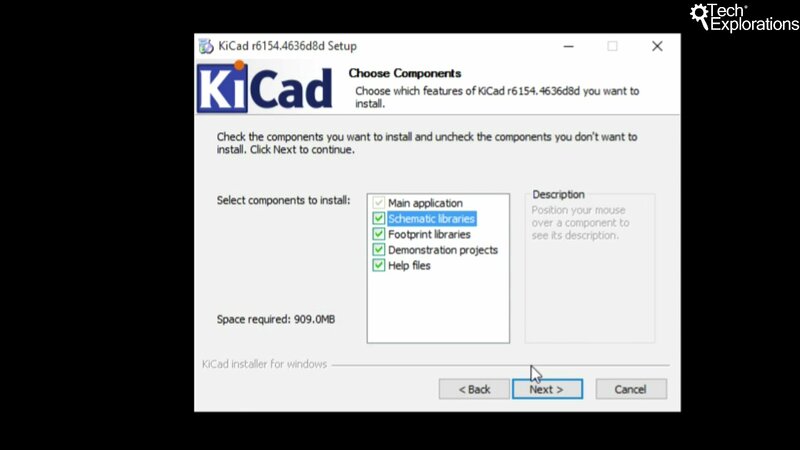 I recommend that you include all available components to your Kicad setup. Next, the Setup Wizard will ask you for the installation location. You can simply accept the suggested location and click on Next. Specify the installation location. The default location is fine in most cases. The installation process will begin, and the status information will be shown in the Installing window. Let it finish, and then click on Next to continue. Even though I am not covering Wings3D in this book, I think you should still install this feature. With Wings3D you can create 3D object models for your designs. It is a nice way to visualize your design will look like eventually before you have manufactured it and installed all the components on it. Check the box and click Finish. Wings3D allows you to visualise your designs in 3D. All right, so KiCad installation is complete. In the next chapter I’ll explain how to install Kicad on Mac OS X. If this is not something that interests you, feel free to skip it and go straight to the chapter titled “Kicad main components”, where I’ll give you an overview of the most important components that come with KiCad.